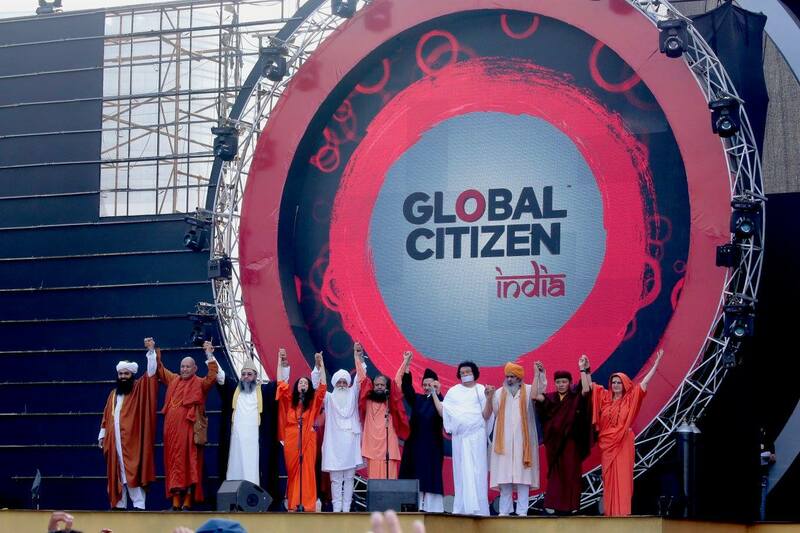 On the 17th-18th September, GIWA Co-Founder Pujya Swami Chidanand Saraswati and GIWA Secretary General, Dr. Sadhvi Bhagawati Saraswatiji, travelled to Seoul, South Korea for possibly the largest World Peace conference ever. The first day took place in a stadium, filled to capacity with people shouting “We want peace” in every language. Children lined the parade route waving flags of peace. Heads of numerous countries, Presidents, Vice-Presidents, Prime Ministers – current and former – joined hands with what must’ve been thousands of religious leaders of every conceivable religion from seemingly every corner of the Earth.